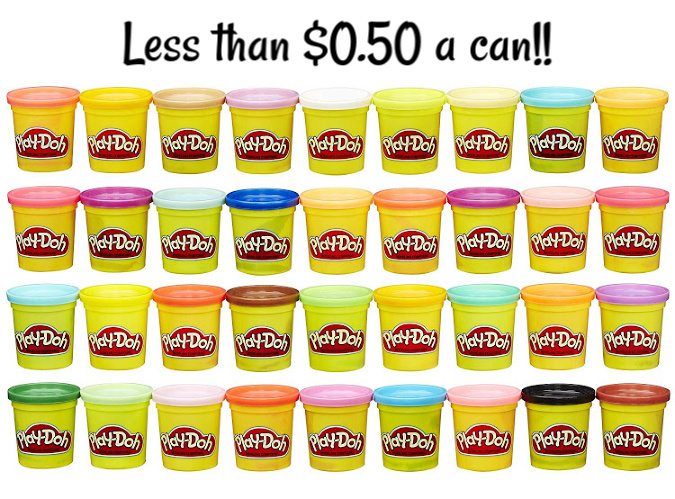 What a fabulous deal on Play-Doh going on over at Amazon.com today, April 15th, only! You can score an Amazon exclusive 36 pack in various colors for just $16.53 or $0.46 per can!! This is regularly priced at $24.99.